If you've had an iPhone for a very long time, there is a pretty decent chance that you're also still on AT&T -- and you get battered with spam phone calls. AT&T has an app to help deal with that, and AppleInsider has taken a look at it. The new addition of "Theater Mode" to watchOS can be combined with the Apple Watch Series 2 feature "Wake Screen on Crown Up" to check the time on your watch in an extremely discreet, unobtrusive low-light fashion. Here's how to combine the two features. By default, Apple's iPhone 6 Plus, 6s Plus, and 7 Plus add an auto-rotating home screen to iOS, rearranging icons and the dock whenever a device is tilted sideways. Aside from the Control Center orientation lock, here's an indirect way of achieving the same result. Syncing music to your Apple Watch can be a convoluted, laborious process. But if you want to ensure that the latest additions to your library are automatically available on your watch, iTunes Smart Playlists may be the solution you need. It was probably prudent to make a backup of all of your iPhone's data before the shift to APFS with iOS 10.3 was applied, but fortunately it all went okay -- but what if it hadn't? In celebration of Backup Day, AppleInsider shows you how to back up your iPhone or iPad. Facebook this week introduced Live Location to its Messenger app for iOS, letting people temporarily track each other when trying to rendezvous. Here's how to make use of the feature on your iPhone. Though headphones are headphones for the most part, Apple's Powerbeats3 -- equipped with a proprietary W1 wireless chip, and geared towards fitness enthusiasts -- does have some unique features. Here's some tips for making the most of them. Sometimes, you've just got to get proof of the high score you just got on that Apple TV game, or if you're like us, you've got to take a screenshot to show something off. AppleInsider shows you how to take screenshots from your fourth-generation Apple TV without breaking out the camera. Notifications can be a mixed blessing -- for some they keep the chaos of communications down, and allow for rapid response to an email or a Tweet. But for others, can be a distraction that pulls away from the task at hand. AppleInsider shows you how to shut them all down for a while, or just silence a pesky app. 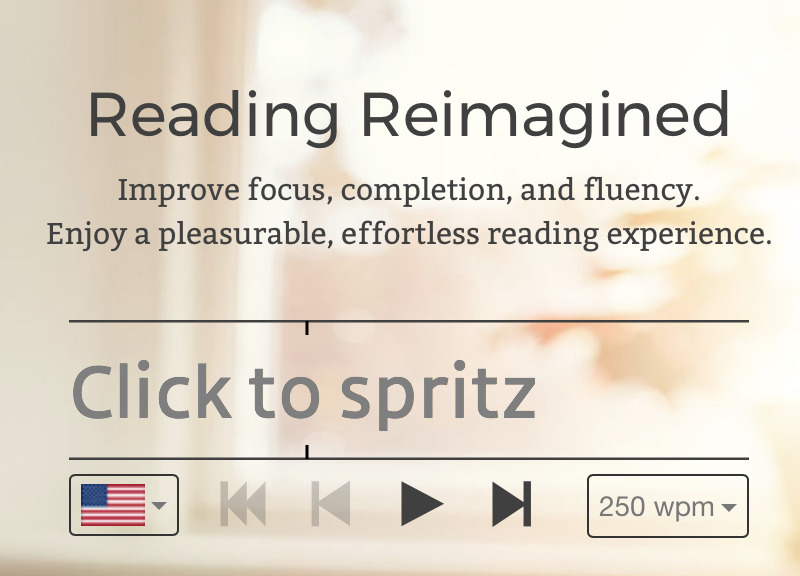 The average reading speed of an adult is just about 300 words a minute, which sounds impressive, but comprehension suffers as adults also tend to only retain about 60% of what they read -- fix both with Spritz. Apple does offer a Podcast app of its own for iOS devices, but for most people, a third-party app is probably where it's at. Here's how to use one of the more popular options, Overcast, on your iPhone. If you're among the first to buy the new Nintendo Switch game console, there's an added benefit you can easily take advantage of: The system's wireless controllers are fully supported by Apple's macOS. Facebook has recently launched its Videos app for the Apple TV, providing shared videos to users freed from most of the commentary the social network provides -- AppleInsider examines the offering. While there are subtleties involved like protein and carb intake, ultimately, losing fat or gaining muscle comes down to one thing: calories in versus calories out. MyFitnessPal for the iPhone is one of the most popular tools for managing this, and here's how to use it.